City Engineers and Public Works Staff have the relentless task of ensuring our underground pipelines are meeting the demands of public. Whether it’s a domestic watermain or sewer forcemain, our underground pipelines need to efficiently carry water to the customers and wastewater to the treatment plants. 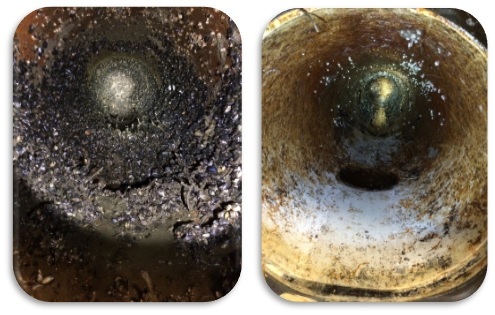 Sewer forcemains with capacity problems lead to overwhelmed lift station wet wells, poor pump performance, and ultimately combined sewer overflows or sanitary sewer overflows. (CSO/SSO) Raw or domestic watermains with silt or scale buildup lead to water quality problems, higher than normal operating pressures, pipe breaks, and reduced firefighting capabilities. September 2013 – I&I Got You Down and Your Treatment Volume Up?? May 15, 2013 – Got Inflow & Infiltration? Consider Sewer Smoke Testing. SFE GLOBAL (SFE) is a municipal and industrial service company specializing in underground infrastructure assessment, monitoring, and environmental data management. We have been conducting services of this nature for Government, Consulting Engineers, and Industrial Clients since 1991. Proud Supporter of Heroes Hockey Challenge Click Here for more information on this foundation.